SECO is a safety and environmental Career field. The safety and environmental Compliance Officer program applies to all National and International EHS Careers. SECO Training and Credentials unite professionals with experience and having responsibilities that promote safe and environmentally friendly workplaces. July 26, 2013–An updated New Orleans Sector Maritime Hurricane Contingency Plan is available. See link for the 2013 New Orleans Area Contingency Port Plan, here. DENHAM SPRINGS, LA.--(July 1, 2013)--Regulatory compliance specialists company R. Lee & Associates is offering the following security courses for Facility Personnel and Facility Security Personnel at oil and gas facilities, offshore platforms, chemical plants, port properties, marine transfer operations, and storage and distribution facilities. The training ensures Facility Security Officers (FSOs) and other personnel with security responsibility are trained in the security measures required for each appropriate Maritime Security (MARSEC) level and are familiar with the facility’s security plan, the process of Declarations of Security, and reporting of incidents. “Our business is assisting every business in need of Security and Compliance services while providing the Best Service at a Better Value. 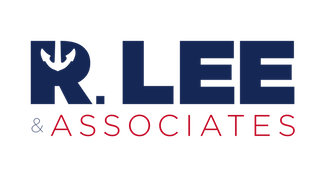 Regulatory compliance specialists company R. Lee & Associates is offering the following security courses for Facility Personnel and Facility Security Personnel at oil and gas facilities, offshore platforms, chemical plants, port properties, marine transfer operations, and storage and distribution facilities.